RICHMOND, Va. — During a walk through Carytown, a group of five freshman hallmates from VCU entered the local hobby store One Eyed Jacques, only to exit as a Dwarf Guild, with a new bond as strong as steel forged in the hottest furnaces of Erebor. 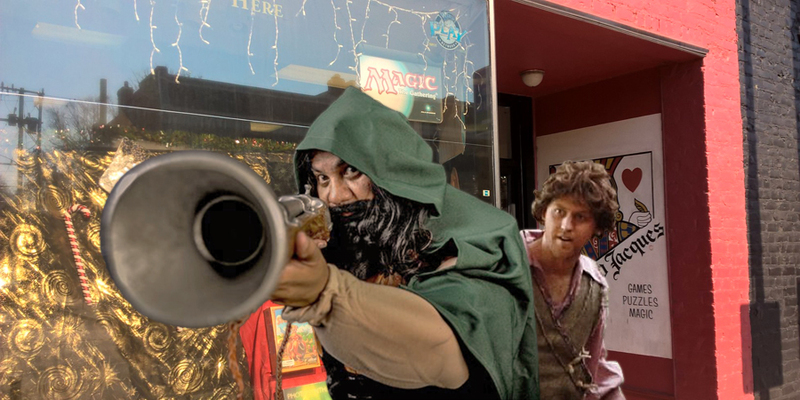 The group had seen a Magic: The Gathering promotion in the window and had stepped in with the intention of reigniting a shared childhood passion. After hours of gameplay in a Tolkien-inspired storyline, the group realized that a more important quest lay before them: finding stolen treasure and regaining the honor that elves and men had stripped from them. The newly formed Guild, led by Helmick Leadbreaker (née Carl Johnson), almost immediately eschewed classes and extracurriculars for melting and shaping molten steel, carving intricate designs onto armor, and brewing ale based on recipes from the Middle Ages. VCU police have been called to their below-ground apartment multiple times this semester as community members confused their potion-brewing and axe-forging with a methamphetamine operation. Information gleaned from long scrolls the Guild nails to the neighborhood telephone poles indicate that they are soon leaving on a mission to retrieve gold from a “wicked fire-drake” who guards the treasure in a place the group refers to as “the Lonely Mountain.” Requests for comment from the group have not been returned. Fancy The Peedmont? We fancy you back! Support real Virginia journalism by checking out our online store here.